No one has ever been born hating or fearing other people. That has to be taught – and those harmful lessons seem to be similar, though they're given in highly disparate cultures, languages, and places. Leaders have used particular kinds of rhetoric to turn groups of people violently against one another throughout human history, by demonizing and denigrating others. Vocabulary varies but the same themes recur: members of other groups are depicted as threats so serious that violence against them comes to seem acceptable or even necessary. Such language (or images or any other form of communication) is what we have termed "Dangerous Speech." Naming and studying Dangerous Speech can be useful for violence prevention, in several ways. First, a rise in the abundance or severity of Dangerous Speech can serve as an early warning indicator for violence between groups. Second, violence might be prevented or at least diminished by limiting Dangerous Speech or its harmful effects on people. We do not believe this can or should be achieved through censorship. Instead, it's possible to educate people so they become less susceptible to (less likely to believe) Dangerous Speech. The ideas described here have been used around the world, both to monitor and to counter Dangerous Speech. This guide, a revised version of an earlier text (Benesch, 2013) defines Dangerous Speech, explains how to determine which messages are indeed dangerous, and illustrates why the concept is useful for preventing violence. 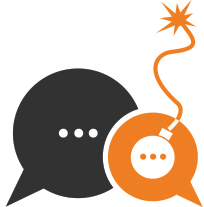 We also discuss how digital and social media allow Dangerous Speech to spread and threaten peace, and describe some promising methods for reducing Dangerous Speech – or its harmful effects on people. Copyright 2018 by Dangerous Speech Project. All rights reserved.